CARLSBAD — It is one of the city’s most ambitious and necessary long-term goals. Trenching the train tracks comes with a hefty price, yet it’s a priority for the City Council. But Councilman Mark Packard, who is also president of the board of directors for the North County Transit District (NCTD), has an aggressive plan, to say the least. While a feasibility study isn’t due to be released for another several weeks, the long-time councilman is pushing hard to get the project off the ground. 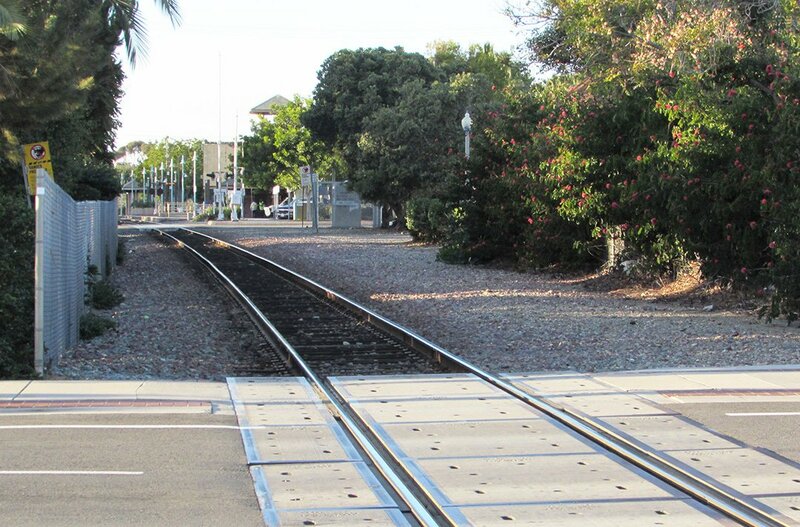 The study analyzes double-trenched tracks versus double tracks at street level. Packard said he wants to see the project finished in six years, although he admitted it is a lofty timeline. He noted this plan has not been approved or agreed to by the City Council, but it is his goal for the tracks. His plan is to trench the tracks from Buena Vista Lagoon to Agua Hedionda Lagoon. The San Diego Association of Governments (SANDAG), Packard added, project a 20-year timeline, although the agency’s assessment is more about funding concerns, Packard said. The biggest obstacle, though, is cost. Packard said the ambitious plan is estimated at $350 million and with the failure of Measure A in November, other sources of funding are required. Measure A would have raised sales taxes by half a cent and been earmarked for transportation and open space projects. The measure needed two-thirds of the vote and added billions of dollars to SANDAG’s coffers. But now, a sizable chunk will have to come from Carlsbad. Packard said typically 20 percent is required before state and federal funding sources kick in. And while $70 million from the city is significant, he said it pales in comparison to the benefits of trenching. SANDAG projects train traffic will double in the next 10 to 20 years, which is another reason why the city is pushing for trenching. NCTD Executive Director Matthew Tucker said it is likely the district will be pushed toward discretionary funding and federal money. He noted within the Federal Transportation Program there have been discussions about significant investment in infrastructure. He also said there may be grants available through the state’s Cap and Trade Program to support projects for the operation of the railroad. Tucker said working on the project must support the desires of a community. He also noted funding must be identified to support any possible cost increases in maintenance and operations. Tucker said even without approval, it is critical for entities such as NCTD to target and be ready for projects such as Carlsbad’s to anticipate growth projections. Shovel ready, meanwhile, means the project has all the groundwork laid in the form of environmental reviews, construction plans and other logistical details. One of the big reasons trenching is the preferred, Packard said, is to prevent loss of life on the tracks. Over the past year, the council has discussed trenching, specifically with their counterparts in Solana Beach in mind, where the tracks were trenched years ago. Since then, Solana Beach has not recorded one death due to a train accident. Carlsbad, Packard said, has had 19 over the years. And a cold fact is the city must spend money to either defend or settle lawsuits, which Packard said total more than eight figures. Other benefits, meanwhile, include reduced traffic, air pollution due to idling cars at railroad crossings, less noise pollution and easier access for fire and police personnel. Yet another bonus, he said, is the options available to the city should the tracks be trenched.